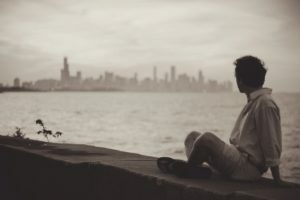 Being an expat is a process of changing, during which we lose our landmarks (language, history, customs and tradition) and we jump into new and unknown circumstances. In my years as an expat, I have met many people and I listened to many stories. Being an expat is not simple, not only because of all the practical problems that we have to face, but also because of the intensity with which we live all the emotional situations that we can get involved in: loneliness, conflicts at work or in a relationship, difficulties in adapting to a new culture, misunderstandings, fear of the future, stress, dissatisfaction, and so on. Abroad, we don’t have our family, cultural references, favourite places and food, and a network of old friends. We miss the feeling of being psychologically and emotionally rooted in a territory. This situation can bring up emotions of isolation and loneliness. As expats, we can be more susceptible to these types of suffering. Living abroad reveals our insecurities and fears, and we often move to another country just because we want to escape from them… Only to realise, later on, that this is not a solution, and that we took these feelings along with us in our suitcase! If you feel lost, sharing with someone who has experience in this kind of situation, can help you a lot in finding a new perspective for your expat project or in finding the best way to return home and make a new start there.